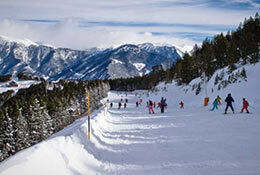 Andorra is a very popular ski destination for school groups and is quite different to the traditional alpine experience. The first and most obvious difference is the location. Andorra’s resorts are nestled in the high Pyrenees Mountains, straddling the border between Spain and France. Andorra itself is a Principality, about a third the size of London and with only 85,000 people. Nevertheless, this tiny place attracts more than 10 million tourist every year, many of them arrive carrying skis and snowboards! 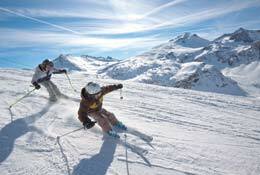 The top resorts include Grandvalira, with more than 200km of runs, and Vallnord, consisting of linked ski areas. 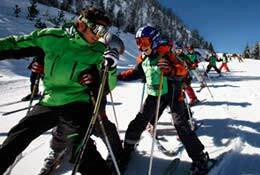 Read our detailed guide to the best ski resorts for schools in Andorra! The high altitude resorts of the Pyrenees make for some wonderful snow conditions throughout the winter, often giving better powder than places like France and Austria. Queues for lifts and restaurant tables are nothing like you will find in either of those countries either, and your accommodation is likely to be very close to or by the side of the piste. There are many other factors that make Andorra confusingly overlooked. The average holidaying tourist often won’t give Andorra a second glance, but thankfully, the school ski market knows better and there are now as many operators offering Andorra as most other places in the Alps. 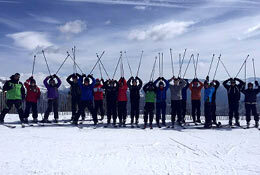 Let us find the perfect Andorra Ski trip for your school. Andorra has invested heavily in improving its infrastructure and facilities, and despite the tax free status, the resorts no longer attract the cheap (and noisy!) end of the ski market. Andorra has well and truly lifted its image and is now the perfect destination for school group skiing, and not just because it remains cheaper than its rivals over in the Alps. The Price – Although no longer the bargain it once was, Andorra is still competitively priced, and therefore attractive to school groups who have to watch their budget. 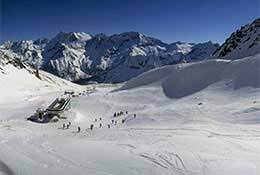 Wonderful resorts for students – The main resorts operators tend to offer to school ski groups heading to Andorra include purpose built areas for beginner skiers and children. Improved facilities – Andorra generates a fair chunk of its income from tourism and knows that if it wants to attract skiers, it needs to invest in its facilities. And boy has it! Andorra now boasts world class facilities.